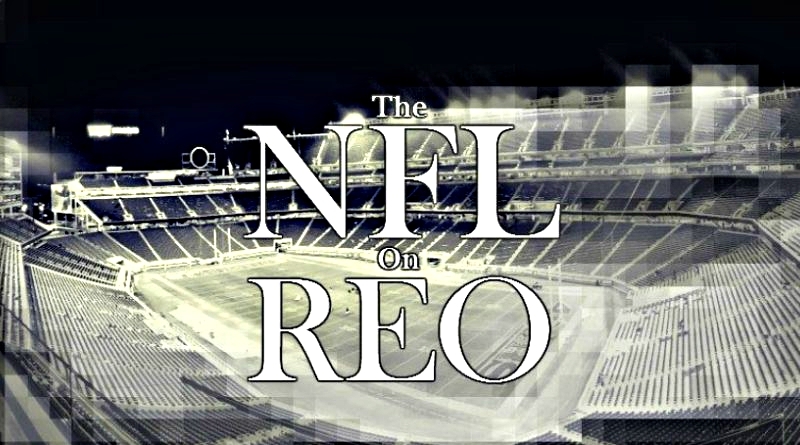 I got some help this week for the NFL Power Rankings from fellow REO contributors Gowdy Cannon and Mike Lytle. I asked them to rank their top 15 teams. 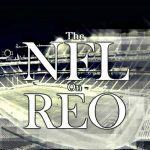 I then assigned a point value to each team based on where they were ranked and then added those points together to get the final product – The NFL on REO Top Ten. (Example for the ranking: A 1st place vote receives 15 points, a 2nd place vote receives 14 points, and a 15th place vote receives 1 point.) I’ve listed the total point value for each team so you can see how this all came together. For the tie-breakers, I listed the rationale for why one team was placed above the other. Back when the Patriots were 2-2 with what was by far the last place team in defensive points given up, it looked like the rest of the league may have had a prayer of not having to deal with this constant playoff juggernaut this year. It was a testimony to how incredible the offense is that they were 2-2 since most teams would have been 0-4 giving up 38 points every week. But as anyone could see coming, the Patriots turned it around on D. They have been the best team in the league on defense as far as giving up points for the last eight weeks and have a chance to do something very few teams have done the last 30 years – go nine straight games giving up 17 or less. They are now solidly a Top Ten defense in the league by this simple yet extremely important criteria. The O still deserves credit though – the Patriots give up a bunch of yards but recently had 94 straight drives by their opponents start in the opponent’s territory. A record for the last 25 years. That is a credit to NE not turning it over and moving the ball when they have it. Just by stats and the eye test this team seems elite and poised to make a run in January. They have a Top 2 defense by the most basic measures and a solid running game and, to this point, excellent quarterback play by Case Keenum and at least for a game or so, Sam Bradford. I know the NFL stereotype is that you have to have an elite QB to win it all and this would cause concern for the Vikings, no matter how well Keenum or Bradford are playing. But seeing as how half the of the last twelve Super Bowls were won by Eli Manning, Joe Flacco, two of Ben Roethlisberger’s most mediocre seasons and a wooden dummy that looked like Peyton Manning, I think the standard belief is often wrong. And while Keenum isn’t anywhere close to Russell Wilson, he could at least be as effective as Wilson was in 2013. Today, December 6th, 2017, Nashville has a first-place team in two different sports. In the NHL, the Nashville Predators are leading the Western Conference, as well as the Central Division. In the NFL, the Tennessee Titans are in first place in the AFC South. Both fan-bases have a lot to be excited about with the results they are seeing. Both teams are winning at a high percentage. Both teams look poised to make it to the playoffs, though the Predators have a long way to go before that becomes a reality due to the length of the NHL season. But beyond that, the reactions to these two first-place teams could not be any more different. The Nashville Predators are the darlings of the city while the Tennessee Titans seem like the often maligned, step-child. How did we get here? The 2017-2018 Nashville Predators are one of the best teams in the NHL. They are the defending Western Conference Champions and appear to have improved since their impressive playoff run last season. They play an exciting, action-packed style that leaves the fans happy and satisfied. They win and they win with style. Simply put, they are a joy to watch. The 2017-2018 Titans have the third-best record in the AFC and are in place as the 3rd seed for the playoffs. They barely missed the playoffs last year, going 9-7 in coach Mike Mularkey’s first full season. They continue to win games even though the product on the field leaves a lot to be desired. They are inconsistent and seem to play down to their competition. Simply put, they are a constant frustration to watch. I find myself in a weird spot when discussing the Titans with other fans. I acknowledge that the team has been erratic. I realize that this team should not consistently be in close games against many of their opponents. They should be able to handily beat a good number of the teams they have faced this season, but instead, they have struggled to put it all together until very late in many of these games. Their young, star QB, Marcus Mariota has been just as erratic and frustrating with his performance this season. Taken as a whole, the Titans have not made it easy for their fans to feel optimistic about this season. Except for one thing: They just keep winning. You can deduct style points all you want, but the truth of the matter is, the Tennessee Titans are 8-4. They are 4-1 in their division. They are one of only a handful of teams this season with a winning record against teams with records over .500. (They beat: 8-4 Seattle, 8-4 Jacksonville, and 7-5 Baltimore. They lost to 10-2 Pittsburgh.) The Titans find ways to win, week after week and at some point, the fans just need to accept them for what they are: A frustrating, erratic, hard-working, and successful team. Kudos to Phill on his preseason pick of the Titans in the Top 10. That’s looking like a strong pick that silences the doubters. Hope it holds up. I agree with this list. These teams have proven it on the field at this point in the season, which was my only argument against the pre-season rankings. There was no hatred in my heart toward anyone or anyone’s team. I would still have the Eagles at #2 over the Steelers. But it’s very close. And I would have the last 3 switched around a little with #8 Tennessee, #9 Carolina, #10 Jacksonville. I know. HA! I didn’t miss it. I appreciate the love. I really do hope the Titans ranking holds up or gets better. With the Bears and Bulls absolutely awful I don’t mind living vicariously through the dozens of Nashville friends I have. As a 49ers fan, it pains me to say this, but the Seahawks are looking scary heading into the last month of the regular season. Even with the key injuries this season to the Legion of Boom, they’re winning games. Russell Wilson has been insanely good. If the Seahawks win their final 4 games and he keeps accounting for all his team’s offensive production, he should win the MVP regardless of Carson Wentz.